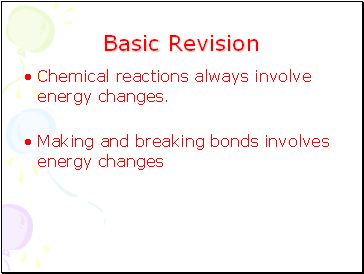 Chemical reactions always involve energy changes. 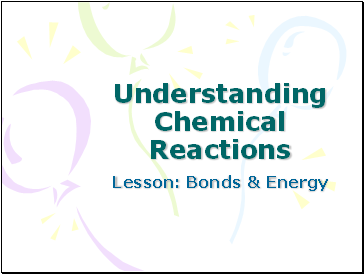 These reactions give out heat energy. 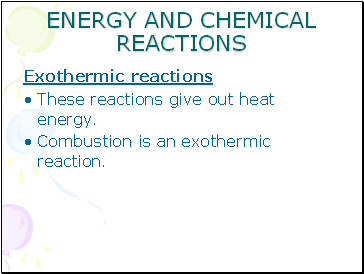 Combustion is an exothermic reaction. 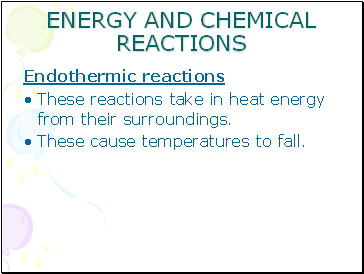 These reactions take in heat energy from their surroundings. 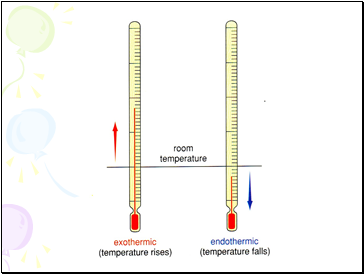 These cause temperatures to fall. 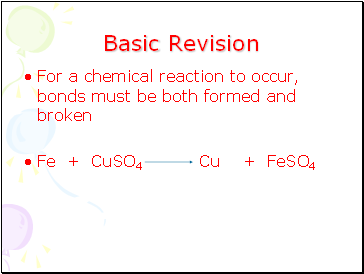 Use the apparatus as shown. 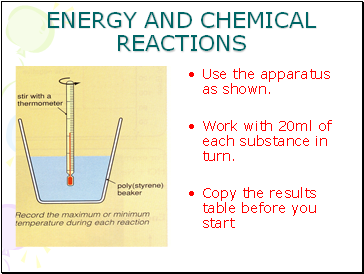 Work with 20ml of each substance in turn. 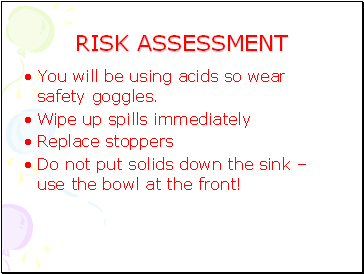 You will be using acids so wear safety goggles. Do not put solids down the sink – use the bowl at the front! 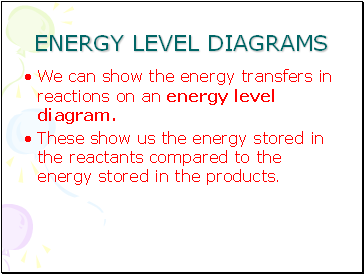 We can show the energy transfers in reactions on an energy level diagram. 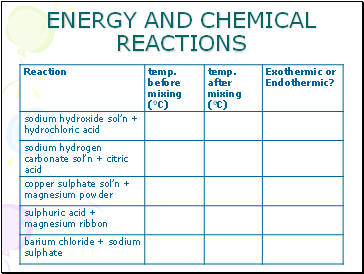 These show us the energy stored in the reactants compared to the energy stored in the products. 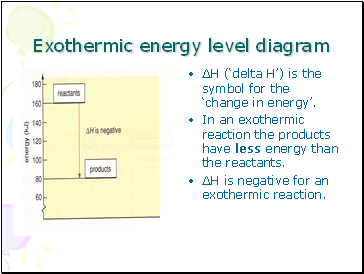 ∆H (‘delta H’) is the symbol for the ‘change in energy’. 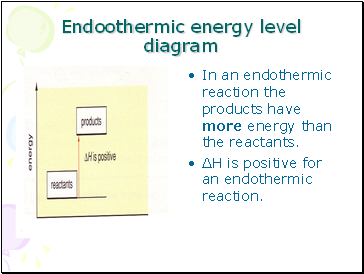 In an exothermic reaction the products have less energy than the reactants. 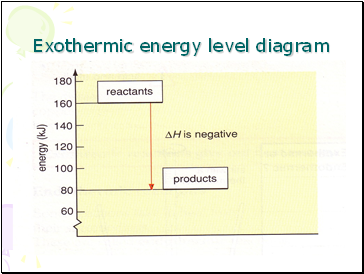 ∆H is negative for an exothermic reaction. 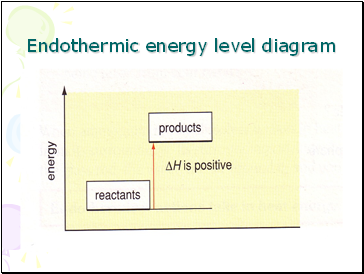 In an endothermic reaction the products have more energy than the reactants.